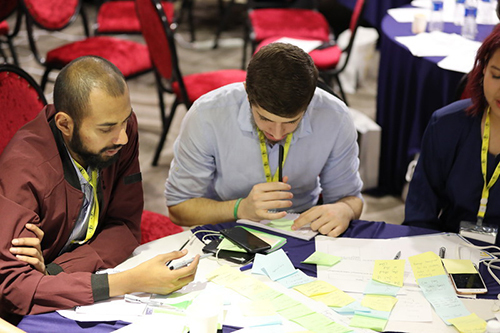 The fourth edition of the Bootcamp was held in Kuala Lumpur, Malaysia from 17 to 20 December. 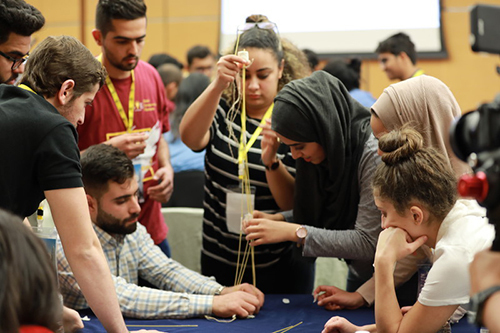 The bootcamp brought together 150 youngsters from 40 different countries along with a dozen entrepreneurs and experts as mentors to create an environment for innovation. 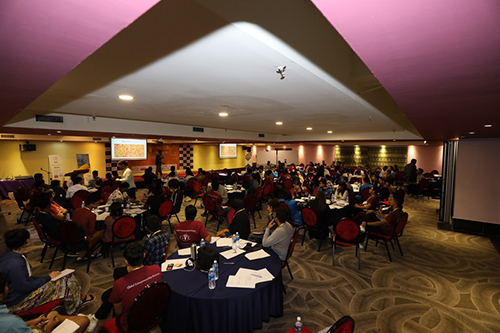 The 4-day-long event, which was co-organized by Lincoln University College and Asia School of Business (ASB) in collaboration with MIT Sloan School of Management, kicked off with an opening ceremony in the evening of 17 December and was followed by team formation, interactive talk sessions, startup workouts, business model canvas formation, business idea pitching, and other related activities in the other three days. 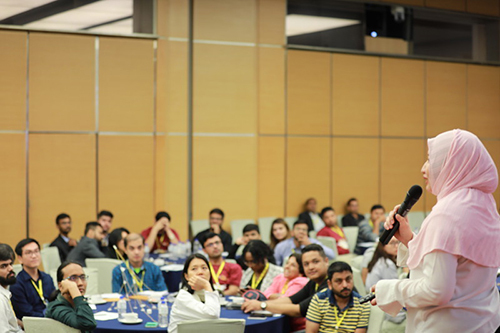 Various sessions of the Bootcamp were held at Asia School of Business. 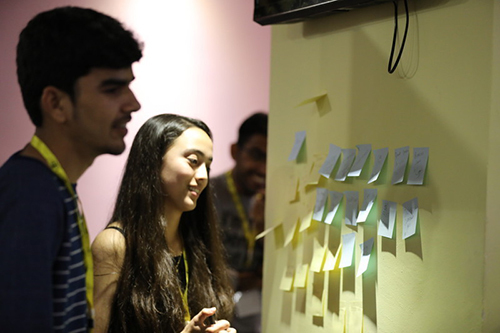 The participating youngsters worked in teams under the guidance of the mentors to form innovative business ideas. And that has been the identifying feature of the Global Entrepreneurship Bootcamp (GEB) for four of its consecutive editions. However, other 15 business ideas were also equally competitive. Most of the ideas were motivated by the needs of a market, whereas some others were designed to solve certain problems in daily life. Other ideas pitched in the bootcamp were RenToys—an online platform to rent toys for children, iPharma—a mobile application designed to provide round the clock medicine service to overcome the problem of not getting medicines at night, Crumblyy—online platform summarizing long blogs and articles into short, bite-size hacks/facts and facilitating a unified platform to make content discovery and consumption easy, N-Mercato—an online platform to connect startup beginners and low-profit making start-ups for mutual benefits through matching and online marketing, Learning Factories— a social venture to bring industries in the role to solve unemployment problems and boost vocational training, Strivers— a B2B Human resource marketplace for striving refugees in Kuala Lumpur, Newtral— an idea of retrieving, refurbishing, and upcycling the textile trash into usable goods, Job Finder— an online platform to match the service seekers and service providers, Blood Donation Application— a mobile app to connect donors, patients, blood banks, and hospitals to solve the problem of blood crisis for the medical patients, AGRee To WASH HUB—a solution to increase the quality and quantity of people working in the agriculture and WASH (water, sanitation and hygiene) sector as well as building the connection between stakeholders in Cambodia, narratives— an idea to help the writers succeed by connecting them to a community of publishers as well as readers, EHeal— a simple and time-efficient platform for digital prescriptions, emergency handling, and online therapy, SafetyFirst— an AI-based environmental startup to help people to make safety preparations to face natural disasters, and Social Domestic Service (SDS)—for-profit social platform to empower an individual to lead a better lifestyle with education and waste management. The bootcamp was more than a competition. 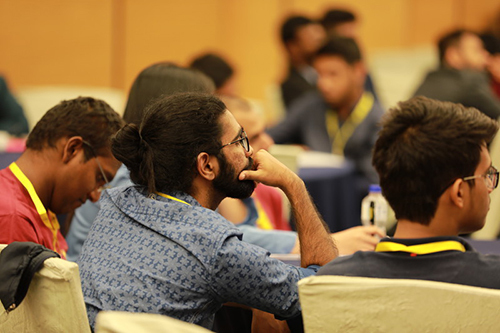 The participants were facilitated with interaction sessions presenting the successful entrepreneurs, entrepreneurial experts, and other mentors. Prof. Dr Rajesh Nair, the Director of ASB Innovation and Entrepreneurship Center, interacted with the participants about ‘Ideation’ and ‘Design Thinking’. 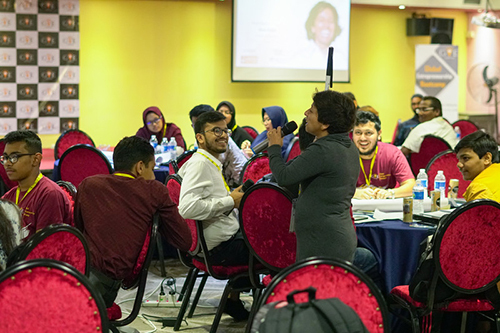 Datuk Dr Hajjah Bibi Florina Abdullah, the Pro-Chancellor of Lincoln University College and Daniel de Gruijter, the CEO of Incitement, were also present as a speakers in the program. Dr. Renard Siew from World Economic Forum Expert Network Group talked about the climate reality and its solutions. 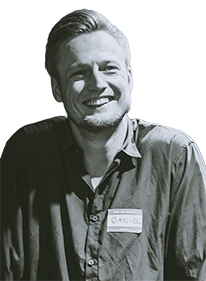 Matthieu Mertens, Head of Technology and Sales-Partner of The Biji Biji Initiative, explained why money cannot be the only value in business. 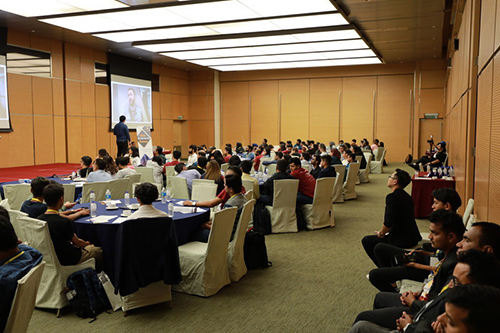 Other notable speakers were Ryosuke Ishii—Chief Scientific Officer of ZENTech Inc.0, Nguyen Quang Huy—Startup Incubation Program Manager at Foreign Trade University, Chit Aein Thu—Founder of CCEducare, Buna Dahal—Founder of Dynamic Buna, Abhinav Gautam—Founder of FreshBox Rwanda, Daxeel Soni—Founder of Version Labs, Muhammad Sumon Molla Selim—CEO at Let’s Learn Coding, and Yin Yin Boey—Raw Vegan Celebrity Chef and Educator. 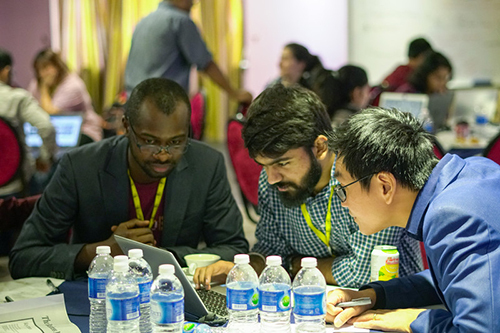 The bootcamp also featured cultural exchange and networking. The participants and the mentors (speakers) collaborated in the cultural night to share their culture, personal beliefs and views. 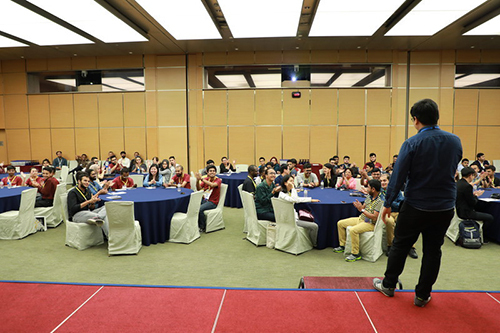 The cultural night and networking sessions were organized to help the participants to grow their network globally. 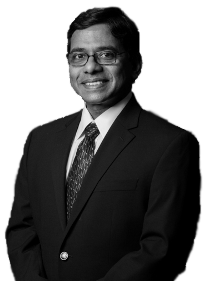 Prof. Rajesh Nair is the Professor of Practice in Innovation & Entrepreneurship at Asia School of Business, a new school started by MIT-Sloan in Kuala Lumpur where he heads the ASB-Innovation & Entrepreneurship Center. 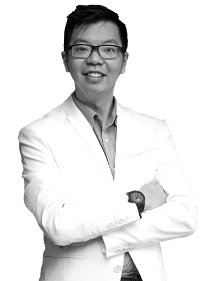 Renard Siew is part of the World Economic Forum Expert Network Group focusing on Sustainable Development in Asia. He is also involved in implementing the environmental agenda for Sime Darby, a multinational conglomerate based in Kuala Lumpur. 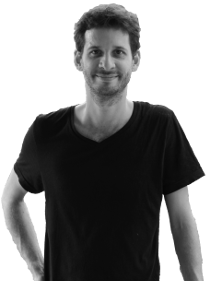 Matthieu has been growing the technology department of the Biji Biji Initiative by building interactive art installations, managing CSR projects and developing a signature product: The Energy playground. 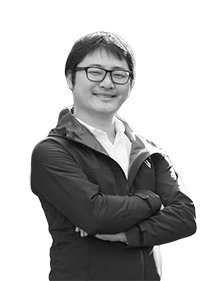 Chief Scientific Officer, ZENTech Inc.
Ryosuke ISHII is a Japanese researcher, entrepreneur and project manager, connecting and applying academic finding into the real world. Currently, he is researching “Team Psychological Safety” at ZENTech Inc., as a Chief Scientific Officer and helping companies enhance their team productivity. Mr. Nguyen Quang Huy has had 10 years as Lecturer/ Researcher of the Foreign Trade University (Vietnam), and 5 years as Director of External Relations and Recruitment of the Executive MBA in Vietnam, University of Hawaii (U.S). Market has become more competitive than ever with the emergence of newer businesses and their diversified products. So, marketing technique holds an important role in performance of a business. On the other hand, it is difficult for customers to choose one from the sea of products. 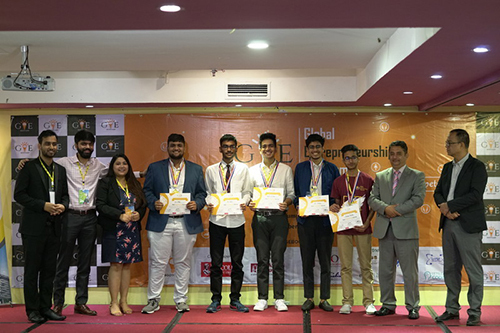 To address this, a team of Abhijeet Swarnkar, Yash Choudhary, Meet Babiya, Ritik Mathur, Saujanya Thapaliya designed and presented a model called ‘ReMark- Reliable and Relatable Marketing’ in the fourth edition of the Global Entrepreneurship Bootcamp in Kuala Lumpur, Malaysia. ReMark is an idea to revolutionize the online advertisement market with the use of Artificial Intelligence and Augmented Reality. Advertisements have not been able to change as per the developments in the technology. And the display of similar advertisements have started annoying the people. So, interactive marketing is the need of today’s market. To address this need, the team also plans to integrate 360 Degree Orientation of Products to give experience and feel of product to user on phone screen before paying for product. This, they believe, will help better the conversion rates and also the experience of the user. ReMark also plans on acquiring and analyzing quantifiable data from the platform to get better customer insights in order to increase the platform’s efficiency and effectiveness for both advertisers and viewers. 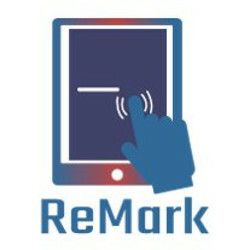 ReMark is a platform that provides feedbacks (experience and feel) to the customers regarding certain products on the basis of data on their preferences and tastes. The team plans to primarily target the Indian Digital Advertising Market in the initial phase, identifying the global market as a potential base. 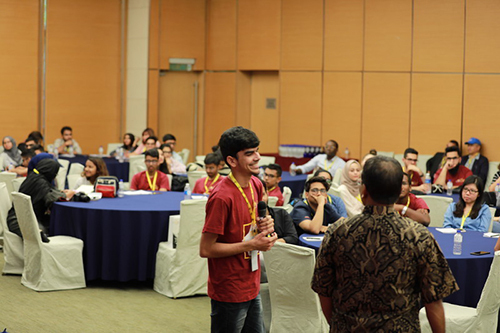 ReMark was the winning idea in the Global Entrepreneurship Bootcamp Malaysia. In the world where many of entrepreneurs are focusing on internet, medical entrepreneurship is challenging but equally opportunistic sector. Entrepreneurship is not limited to a single sector. Anyone can become an entrepreneur if the idea created by the person is innovative. An example of this could be seen in the fourth edition of Global Entrepreneurship Bootcamp (GEB) in Kuala Lumpur, Malaysia. A team of Rami M. S. Salman, Ahmad J. A. Jamal, Anas M.H. Alkhatib, Mohamad Farouk Kuftarou, Isla, S.K. 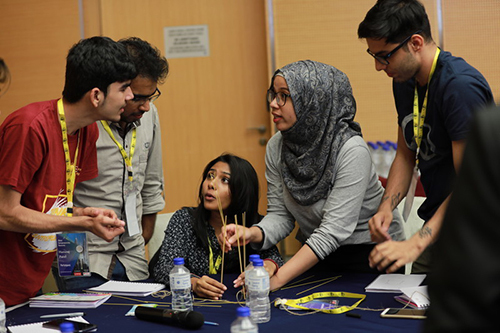 Jabaren, and Meryem Aksbi came up with an idea of ‘Bone Fracture Detector’. 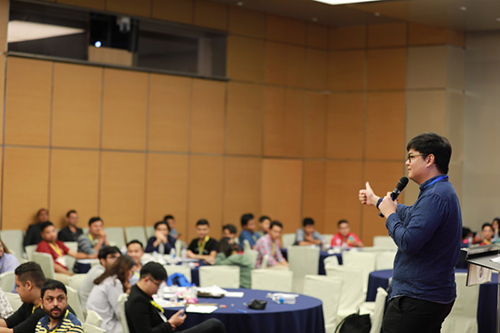 As simple the name is, the theme of the idea pitched by the team is detecting bone fracture, but it was different from the traditional fracture detectors in a number of ways. 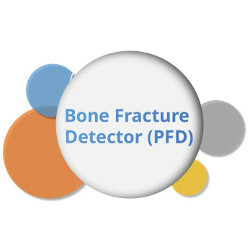 Bone Fracture Detector (BFD) is an idea to use the power of computers to automatically detect the bone fractures in X-Rays. 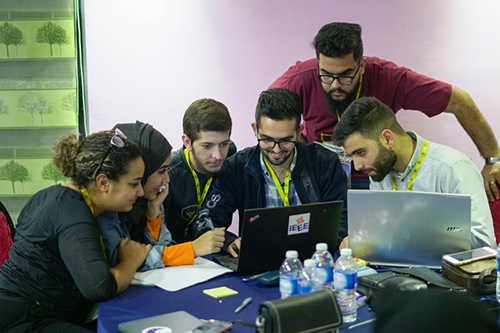 The team from Birzeit University plans to use deep learning to detect the visuals of X-Rays without human help. This, they believe, will save time and unnecessary stress for the doctors as well as increasing the efficiency by reducing the error and time needed. The business targets the radiology centers, Hospitals, medicals and bone clinics primarily. Besides, they also boast of being eco-friendly as the X-Ray pictures need not be printed for the detection. They aim to generate revenue from the subscriptions sold for the software on Monthly to Annual basis. The team won the best team award in GEB Kuala Lumpur. There is a massive flow of contents in the internet which has led to information overdose. Not all contents in the internet are useful to an individual. Moreover, the trend of lengthy contents just provokes boredom in people. The idea of ‘Crumblyy’ arose from these problems. 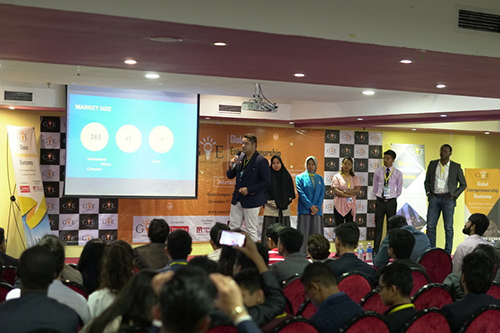 A team of Iffat Ara Rangon, Nancy Hawaiian Huynh, Moida Hari Vamsi, Divik Mathur, Jarar Nazar, and Anurag Kumar pitched the idea of ‘Crumblyy’ in the fourth edition of Global Entrepreneurship Bootcamp (GEB) in Kuala Lumpur, Malaysia. Crumblyy solves those problems by summarizing long blogs and articles into short, bite-size hacks/facts and facilitating a unified platform to make content discovery and consumption easy. Contents are delivered through dynamic QR codes available on avenues such as restaurants, public utilities, hospitals, etc. Crumblyy presents short form content in 15+ categories, including technology, health and fitness, food and drinks, lifestyle, fashion, relationship, DIYs, parenting, money savers, among others. Currently serving in English only, the team intends to make it multi-lingual soon. Crumblyy would act as an excellent medium for content creators to boost their blogs/articles through some of the most quality audiences in the world. Short and catchy content is being hailed as the next big thing, looking at its huge market size. With a Compounded Average Growth Rate of 14%, digital content industry is supposed to soar to $300 Billion market size. Crumblyy will generate revenue through extended brand collaborations, traffic to revenue translation and affiliate marketing. Entrepreneurship has been a global trend now and thus the world has more startups than ever. While the number of startups is increasing globally, the number of failing startups is also high. It is notable that nine out of ten startups fail and the reason is competition. 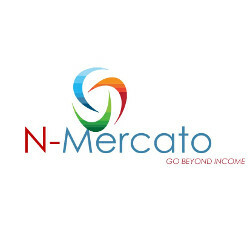 N-Mercato is an online platform to connect startup beginners and low-profit making start-ups for mutual benefits through matching and online marketing. 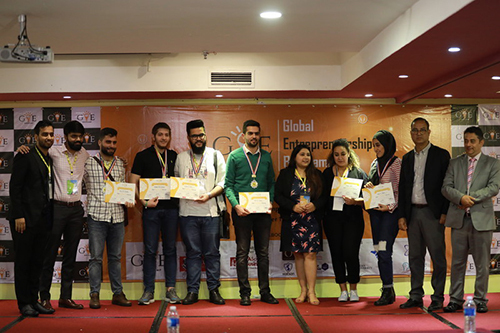 Cooperation in the competitive market is the theme of ‘N-Mercato’ was an idea pitched by a team of Prasiddha Rajaure, Pacifique Essereke, Diprekshya Maharjan, Chirayu Khadgi, and Shreejal Adhikari in the Global Entrepreneurship Bootcamp (GEB). Through ‘N-Mercato’, the team aims to address the ‘need’ of both the startups and students. With financial capability being the major factor, the start-ups cannot recruit the best human resources they want or work on the next product development project. On the other side, 70% of graduate students need practical and professional experience to secure a well-paid job. The team aims to bridge them to create 50,000 online jobs for students while improving business processing of startups by 2023. The team targets to earn revenue from Project Commissions, Advertisements, Online Marketing Research, and Premium Profile. They believe their focus on students and low price for startups will give them competitive edge over the existing freelancing platforms like Fiverr and Golance. Refugee problem has been a global problem. The refugees face many problems due to their alienation from their country among which one is unemployment. It is difficult for refugees to get employed since they have been forced to leave the place where they were employed for years and established. 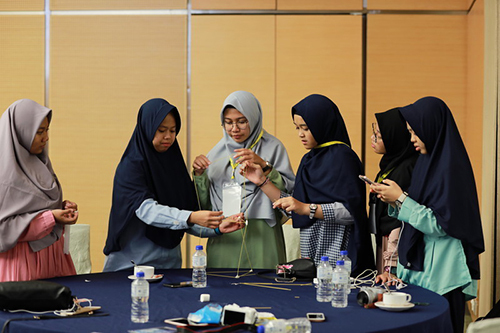 In GEB Malaysia, a team of Nuuraliyya Rahma Adzahira, Adilah Sukma Meinisha Harwanto, Watsal Rajbhandari Shrestha, Lomus Pudasaini, Anisha Shrestha, and Sani Bello came up with an idea to solve the problem of refugees. The idea focused on managing the unemployment problem in refugees and was named ‘Striver’. 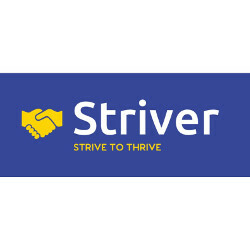 Striver is a B2B Human resource marketplace for striving refugees to thrive in their lives in areas of various product and services in Kuala Lumpur. 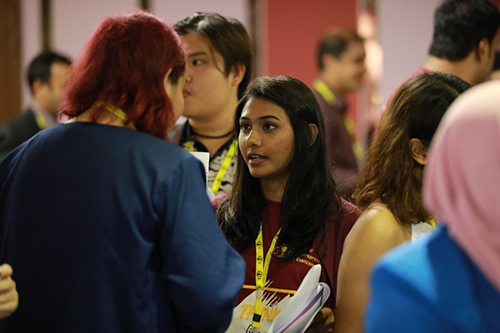 It is first of its kind Human Resource marketplace in Kuala Lumpur with a safe space for working women refugees creating an impactful and sustainable community and economic growth developing the skilled workforce. With more than 19,000 refugees working population, which comprises over 6,300 women, the team plans to equip them with skills through basic training and giving them employment opportunities in the outsourcing work of organizations, creating a win-win situation for all- refugees, organizations, and self. They also plan to cover the insource services such as data entry and bookkeeping. Doing this, it aims to generate a revenue of over RMB 25 million in 5 years. It hopes to get the first-mover advantage by approaching the refugees for the first time in Kuala Lumpur. There is so much waste around you, at your home, at your workplace, and even at school if you are a student. Have you ever thought of bringing the waste materials around you into use? If you have ever thought so, you have a mind of innovator. 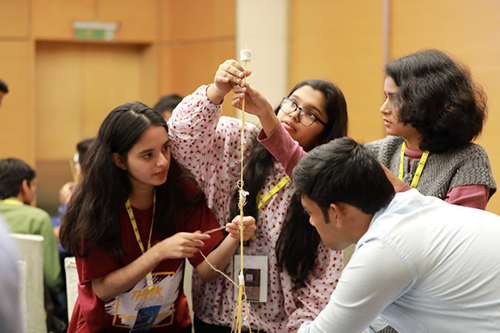 Something like that happened in the fourth edition of Global Entrepreneurship Bootcamp (GEB) in Kuala Lumpur, Malaysia when a team of Mudiyala Saikumar Reddy, Yalavala Venkata Kesava Mahendra Kumar, Utsav Mallik, Choo Ming YI, Siddharth Bhatia, and Rishi Pandya came up with an idea of textile trash business. 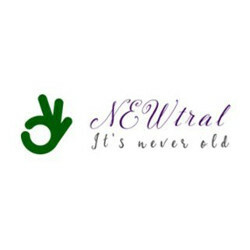 The team named the idea as ‘NEWtral’. NEWtral is an idea to create business out of textile trash. The team plans to retrieve, refurbish, and upcycle the textile trash into usable goods, thus involving in collection, producer as well as retailer. NEWtral will play the role of supplier of fabric to textile industry at start, as a retailer with the support of website and finally as a retailer store, thus having ample control over the whole supply chain. The team hopes that the idea will reduce the carbon footprint, rural unemployment thus setting up the eco-friendly culture in the textile sector. It aims to enter the market as a supplier, and grow into an online store and finally as a retail store. The team has a strategy to gain market through digital platforms, social conscience, referrals, and goodwill to people with ‘Thank You’ note. Startups related to waste management have a possibility since most often the waste materials are ‘wasted away’. And if something useful can be made from the waste materials, the product is obvious to generate revenue. Moreover, the attitude of people towards recycled goods has improved a lot in these years. It is not feasible to get expensive toys for kids every single time since children’s demand for toys is never ending. ‘RenToys’ is an idea designed to solve this problem. 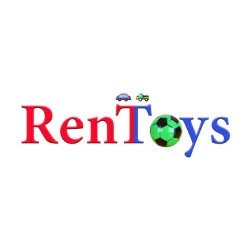 Creating an online platform to rent toys for children is the main theme of the business idea. “Why buy toys when you can rent a new one every week?” says the team. Regular expense on buying toys for children, congestion in the abode due to excess of toys that children do not always play, and loss of valuable time in professional life for buying toys can be burdensome for parents. The idea of RenToys focuses on minimizing the expense of a family in buying toys for the children, reducing the clutter space in the home and reducing the wastage of time. Addressing these three main problems for parents i.e. Time, Money, and Space, the idea also aims to overcome the problem for parents to get their kids away from getting bored with the particular toy. The team targets the 0-14 age group children in Kathmandu, Nepal in initial stage and project to reach to 0.1% of the age group population within the fourth Fiscal Quarter. 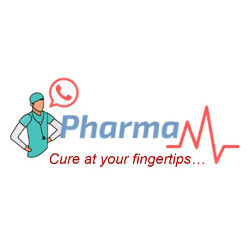 iPharma is an online pharmacy app to solve medication-related problems in Chittagong, Bangladesh. 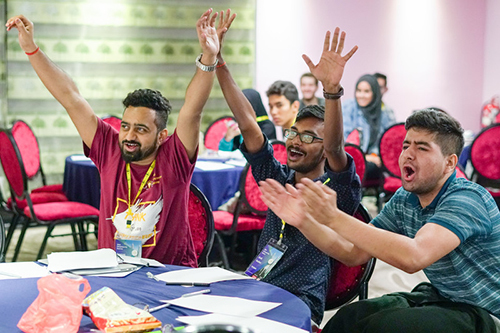 The idea was pitched by a team of Abrar Shahariar Rafi, Abrar Jawad, Farhen Azad Shefa, Swapnil Das, Hazrat Inayat Maulana Syah, and Abrari Zhafran Rafi Muhammad in the fourth edition of Global Entrepreneurship Bootcamp (GEB) in Kuala Lumpur, Malaysia. Since most of the pharmacies are shut down during the night, it is difficult to find medicines at night. In emergency cases, the unavailability of medicines can prove fatal to people. The team plans to give round the clock service to overcome the problem of not getting medicines at night via the ‘iPharma’ app. Patients under a medication often forget to take their medicines on time due to the hurried life in today’s busy world. The app will also notify such patients about their medications according to the reminders set by them. Bangladeshi women are not open about buying contraceptives, sanitary pads and other rudimentary kits. The team also plans to deliver such medical goods to women in Bangladesh in sealed containers to ensure client privacy. Targeted primarily to the women and ailing children, iPharma sees a potential market base in the internet using adult population of Chittagong. For this, they have developed a strategy to market through emails, social media, community programs and attractive offers and promo codes. Unemployment has been a chronic problem in the world. The rapid population growth of the South Asia and South East Asia has elevated the problem of unemployment to a different level. To reduce unemployment, the countries in South Asia and South East Asia are in need of vocational training in the active involvement of the industries. 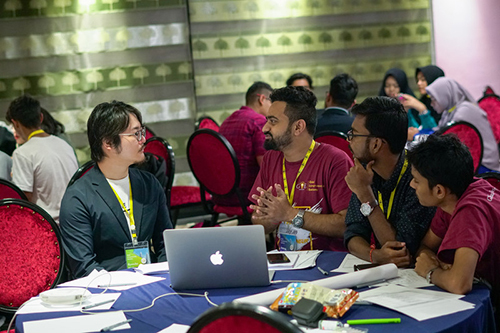 A team of Rachit Garg, Aalap Sanghvi, Rakib Hasan, Jagrat Jhamb, Kinza Shahzad, and Swet Dipak Parekh designed and pitched a model in GEB Malaysia to address the need. Their startup pitch—‘Learning Factories’— is a social venture to bring industries in the role and boosting vocational training. Due to advancement in technologies, there is a change of employment pattern which is shrinking manufacturing jobs and increasing demands of knowledge intensive jobs. That is to say the formal knowledge in the college and universities are not compatible with the needs of market. The team aims to bridge the gap between what is taught in academics and what is required in the changing market scenario. They plan to create short courses by designing curriculum according to the need of the industry to provide jobs. The companies are benefitted from skilled employees and cost reduction, and the job seekers are benefitted through upskilling and better job opportunities. 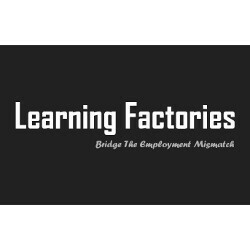 Targeted primarily to the unemployed population of Delhi, Learning Factories sees a potential market base across Nepal, Bangladesh, India and Pakistan. They have a strategy of generating revenue from Nominal fees from Workforce as well as from Industries and Companies. Blood has always been a vital part of human life. 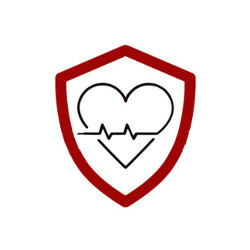 Since human health is connected with blood in many ways, the need for blood arises when there is an accident, an operation or any other serious medical situation. Have you ever been in a long line in front of a Blood Bank or, experienced problems with finding immediate blood problems? Most of us would answer a big ‘YES’ if we have been involved in searching Blood for a relative or friend of importance. Even if we have not been in the line, we at least have seen or heard about the difficulty of finding blood. 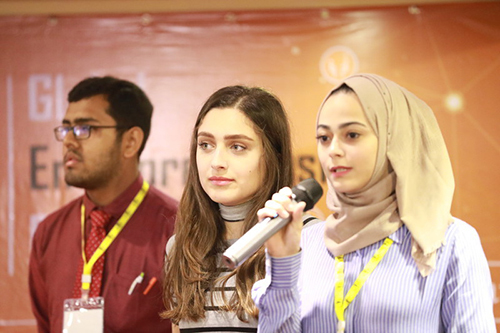 In GEB Malaysia, team of Ankur Banerjee, Aakash Shaileshbhai Oza, MiralRima M. J. Albandak, Hadeel Main Abdulraheem Khader, and Raghad Abu Shameh presented an idea that could solve this problem. They pitched an idea of an application to bring the blood seekers (medically challenged) and the blood donors (normal people) closer and named it ‘Blood Donation Application (BDA)’. Blood Donation Application is an idea to solve the problem of blood crisis for the medical patients. The team proposes to build a mobile app to connect donors, patients, blood banks, and hospitals. Hospitals and patients announce the needed blood type and donors will access these announcements and donate in correspondence with the specified needs. You might have seen request for blood in various social media a number of times, but you did not see many other requests that are being made. Moreover you might have made a post requesting blood which could not reach larger audience. The app will solve this problem. 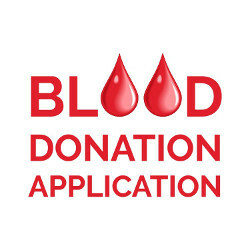 The Blood Donation Application will be a utility that everyone can download and keep in their phone for the time of need. The application focuses on social responsibility as the factor triggering people to be involved in it. They plan to give incentive to the donors in the form of app points; more the points, greater the reward. Focusing initially on the Palestinian market, they wish to expand to nearby countries as well. Many develop an interest in writing in an early age. Even if they write well, it is difficult for them to find a platform to show what they have done. If you have ever aspired to become a writer (or become one), you too might have felt difficulty in bringing to the public your writings. 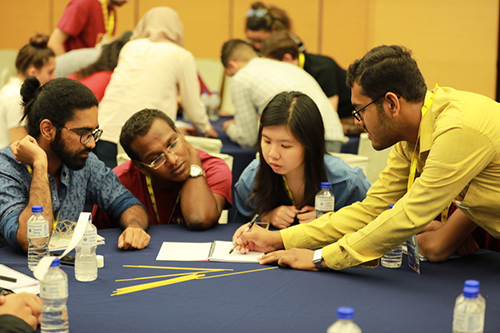 A team of Vaibhav Nanda, Le Tran Huyen Trang, and Adrian Tay Ban Yung in the GEB Malaysia presented an idea to solve this problem. 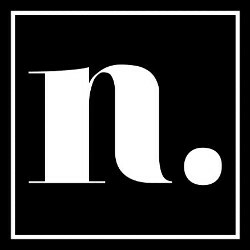 Their idea was based on providing a platform for the writers and was named ‘narratives’. ‘narratives’ is an idea to help the writers succeed by connecting them to a community of publishers as well as readers. The idea addresses four specific problems for writers: lack of validation before printing, lack of contact with publishers, surplus printing, and wrong targeted audience. The team plans to build a large base of readers with incentives to rate and review the writer’s work as well as specific questions by the writer. Then the system provides him/her with the responses along with the insights into the reader’s data, which, they believe, will help the writers improve their work while identifying the market possibilities to maximize their ROI. Besides the premium version, ‘narratives’ also plans to be available in standard as well as freeware version with limited features. The team believes their user-oriented platform with high-quality reviews will help narratives gain an edge over its competitors. Unemployment has been a problem in the world. But lack of jobs is not the only reason why people are unemployed. The problem in matching jobs to the job seekers is one of the main reasons behind unemployment. So online job platforms can be the way out for a lot of youths who are unemployed after not finding the job of their match. 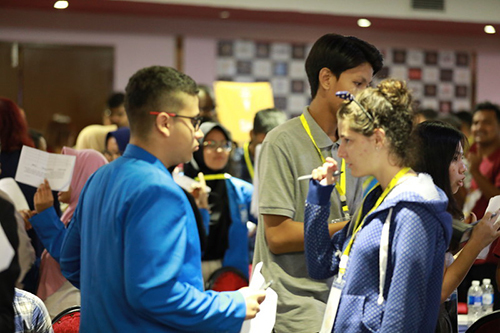 A team of Estetia Adistsany Salwanisam, Jasmine Putri Keisya, Fawzia Nurmadina Arifany, and Mohammad Suhaili designed and presented an idea to solve the problem of lack of connection between the job seekers and job providers in GEB Malaysia. They named the idea as ‘Job Finder (JF)’. 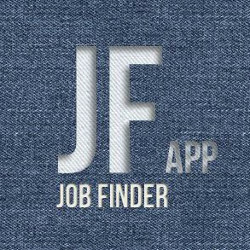 Job Finder (JF) is an online platform to match the service seekers and service providers. It is a connector between the job seekers and the job providers rather than a mere information provider. Addressing the problem of both unemployed workers and companies looking for workers, the team plans to create a mobile application platform where the companies can rent workers with a clear contract. With rating, certification, and promotion of workers integrated onto the platform, the app makes it more efficient for companies to hire better workers. They strategize to market through Social Media, Advertisements, and Job Exhibitions. They plan to earn revenue from commissions from the workers hired from their platform. With the unemployment rate as high as 30%, they also expect to earn revenue from advertisements from the high visit of in-app advertisements. The world has its focus on technology and other sorts of physical developments, whereas important sectors like agriculture are being neglected. Agriculture is the source of food and almost everything we do. Impressively, a team of Sayphearak Mak, Hannah Atirah Binti Rohisan, and Md.Saifuzzaman in GEB Malaysia came up with an idea related to the sector of agriculture. 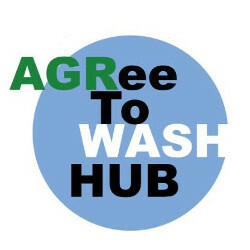 The idea was named ‘AGRee to WASH HUB’ and focused mainly on the sector of agriculture and its promotion. 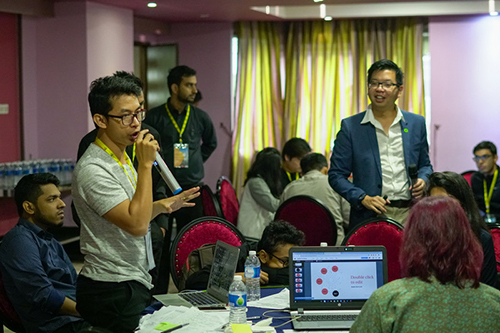 AGRee to WASH HUB is an idea to design a solution to increase the quality and quantity of people working in the agriculture and WASH (water, sanitation and hygiene) sector as well as building the connection between stakeholders in Cambodia. Human resources in the sector of agriculture and WASH sector have an important role, but fewer and fewer people are being attracted towards the sector. Those who are involved do not have enough skills and knowledge. In such scenario, the idea of AGRee to WASH HUB plans to educate the people involved in these sectors. The team plans to build an online platform, and organize workshops and outreach programs addressing the sustainable goals. Further, they also hope to create internship placement as well as employment in the sector by giving the required skills to the trainee to fulfill the need of 12,000 new WASH professionals. For the effective implementation, they strategize to connect the communities, NGOs, Government agencies, and universities through the common WASH HUB. Overall, they hope their training hub to create a positive change in the development sector. In the digitized world, health facilities are still being delivered manually. Use of internet revolution in connecting the health sector and the common people is in a minimum level. 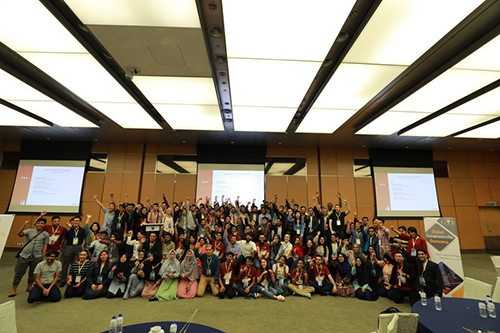 In such scenario, a team of Muhammad Rafif Kuddah, Yiesha Ariqah Vihsany, Putri Karisya Rizkita, Larissa Radiana Gayanthy, Sanyog Niraula, and Ajani Aiman Schulze pitched an idea of connecting patients with doctors online in GEB Malaysia. The team revealed that an app could be used for the purpose of connecting health service providers and the seekers of the service. 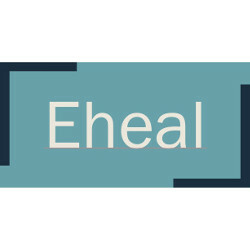 With more and more people dying due to wrong medicine prescription and delayed medical help each year, Eheal aims to create a simple and time-efficient platform for digital prescriptions, emergency handling, and online therapy. With doctor verification, the team hopes to achieve better quality service. Besides, they also plan to add personal assistant and Doctor at Home service to their platform, making it a go-to platform for people in need of medical help. They aim to generate revenue from the patient’s subscription as well as commission from the fee the doctor receives from the platform. Besides, it also hopes to earn from the advertisements in the app. The team believes that the simplicity and efficiency of the app will attract the customers. Owing to the need of medical services even in the hectic schedule of people in today’s world, the app aims to be a health utility for the people. Natural disasters can happen anytime at any place. And such disaster can harm anyone. So the natural disaster is something you should think about even if there has not occurred one since long. Safety from the natural disasters can be the life saver. 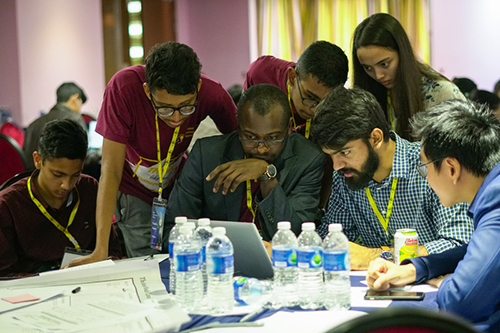 In the fourth edition of Global Entrepreneurship Bootcamp (GEB) in Kuala Lumpur, Malaysia, a team of Sheikh Inzamamuzzaman, Anchol Alokita Kabyo, Salma Fouzia Hoque Saima, Aishee Saha, Phoebe Rollin, and Remy Aranda presented an idea to help people keep themselves safe in the times of natural disaster. They pitched an idea of an app called ‘Safety First’. ‘SafetyFirst’ is basically an AI-based environmental startup which aspires to help millions of people prepare for natural disasters. The impact of natural disaster in life is sometimes beyond explanation. The team believes the best safety against natural disasters is to keep a tab on disaster activity beforehand. People will have more time to react if they can know a natural disaster is on its way near their location. So, their app comes with a bunch of features that includes real-time disaster alert, disaster prediction, safety management, panic button to mark safe to family and friends. Besides, the app has three customized services for tourists, business corporations and the agricultural sector. The team plans to use deep learning to power their efficiency and effectiveness of their app’s prediction. Marketing through social media, they see a market of 1 Billion plus people, from which it can generate a revenue of above $15 million monthly. Waste management has been a challenge. And a very few people want to involve professionally in waste management, while on the other hand there are many people who are unemployed. How easily the problem of waste management would be solved if the unemployed people were trained to be involved in the sector of waste management. Moreover, what is wrong in giving people the inclusive education on subjects ranging from accountancy to waste management? 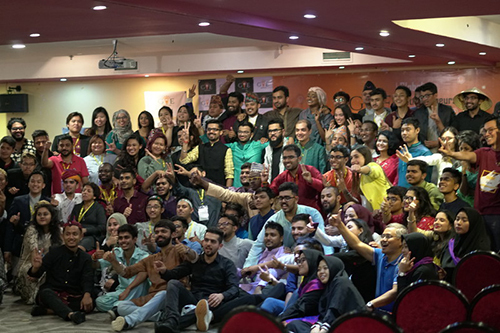 In GEB Malaysia, a team of Heng Ei Ping, Sharipah Ramatullaila Adwiah Binti Rashidi, Suhasshinni, Isyraf Rafael Hafiz, Hansraj Patel, Deepak Meena, and Dhawal Harshwardhan Pagay came up with an idea of Social Domestic Service (SDS) which plans to train people for various jobs focusing on the domestic waste management. 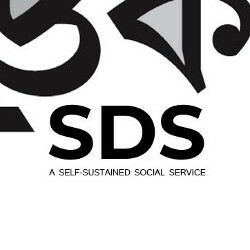 Social Domestic Service (SDS) boasts as an idea to create the first self-sustainable for-profit social platform by empowering an individual to lead a better lifestyle with education and waste management. It aims to address the problem of exploitation of less-skilled human resource along with the problem of unmanaged wastes. The team plans to train millions of maids in India with better skills ranging from basic mathematics to Waste Management. They plan to engage them in services, which helps them make better earning while simultaneously solving the problem of waste management from the household level. Further, they plan to mobilize the trained manpower to train more human resource repeating the cycle. For the revenue generation, they expect to take commissions from the trained maid’s earnings for a certain period of time. In the future, they hope to expand the service to Electrician, Babysitting, Painting, Car Washer, among others as well. 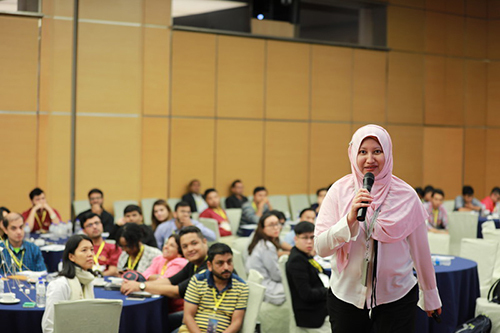 Sayphearak Mak was a participant in the fourth Global Entrepreneurship Bootcamp (GEB) held in Kuala Lumpur, Malaysia. 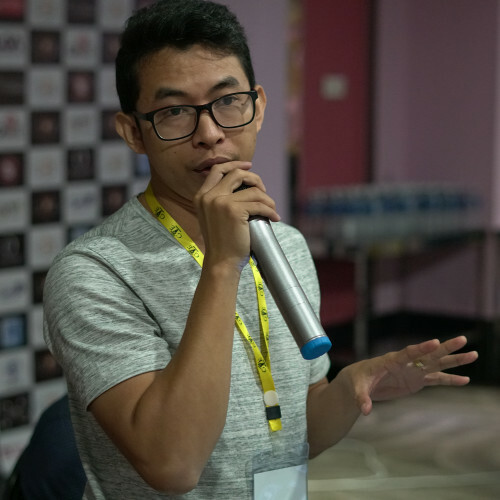 He is currently working for iDESIGN, in-house innovation lab of iDE Cambodia, as a Design Researcher. He has lent his skills as a designer/researcher to a wide range of projects including some in agriculture, WASH, nutrition, health and wildlife. Phearak has played different roles, such as researcher, designer and project manager, within various projects, which designed product, service and system to solve problems of people. 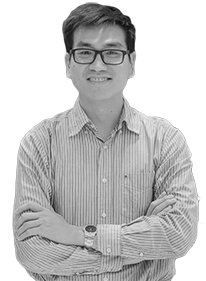 From a research background, Phearak has mainly focused on the qualitative research in the last five years by using Human-centered design methodology as an approach to the innovation. Phearak told the GEB team that he loves listening to old school English music from 70s, 80s and 90s. He also loves going to gym and playing guitar. He shared that he joined the bootcamp to meet and learn from entrepreneurs from around the globe and also to build a network. He has also participated in Innovation Design Development Summit under D-Lab at Massachusetts Institute of Technology (MIT) in 2017. 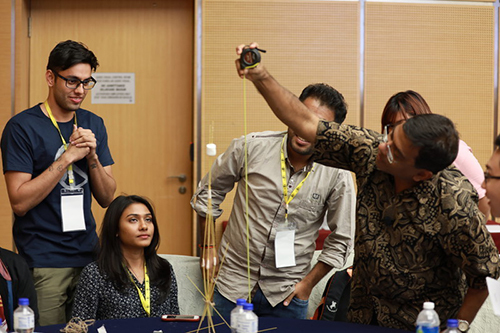 Anurag Kumar was a participant from India in the fourth edition of Global Entrepreneurship Bootcamp (GEB) held in Kuala Lumpur Malaysia. Kumar graduated from Delhi University in 2015 as an IT engineer. After working with Pitney Bowes for a brief period, he started his own venture in 2016. Since then, he has been working on Crumblyy— a unique content discovery platform where articles are presented as short crisp hacks for readers to consume. His key expertise areas include business strategy planning, marketing and outreach. He has been taking care of business development in Crumblyy. Apart from his involvement in Crumblyy, he also mentors new ventures and helps them from realizing idea through product development to commercialization. Kumar believes that global business depends a lot on small to medium scale ventures and if cutting edge technology is to develop, it will come from this tier. 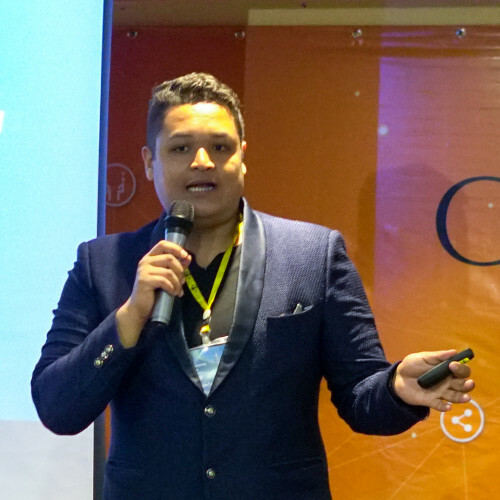 Kumar shared with the GEB team that he attended the bootcamp in order to be familiar with entrepreneurs from across the world and grow his network. Crumblyy has become one of the biggest life hacks platforms in the world. 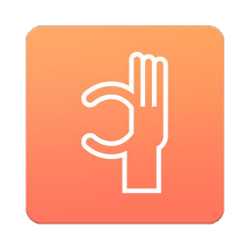 With more than 1.3 million downloads, Crumblyy is being used across the globe. 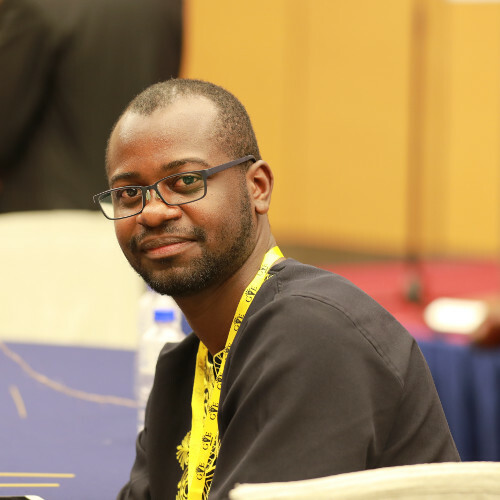 Pacifique Essereke was a participant in the fourth edition of Global Entrepreneurship Bootcamp (GEB) held in Kuala Lumpur, Malaysia. Essereke, who is a citizen of Congo, is an MBA student at the International University of Japan. The 24-year-old award-winning social entrepreneur is co-founder & CEO at eso-africa.com which is a consulting firm providing customized digital solutions for early start-up in Sub-Saharan Africa. Essereke is a certified business mentor and serves for the Tony Elumelu Foundation (TEF)—the largest non-profit organization in Africa that is working to empower 10,000 African entrepreneurs and start-ups to add 1 million jobs by 2025. Essereke has coached and mentored start-ups in Nigeria, Kenya, Uganda and Botswana from ideation, to prototyping to market launch and has also participated in the launch of tefconnect.com, the world’s largest digital platform connecting African start-ups and global businesses. He has received various prizes and awards such as 2016 Young African Leader, 2017 Tony Elumelu Entrepreneur, and Finalist of 2018 Hult Prize, Japan. 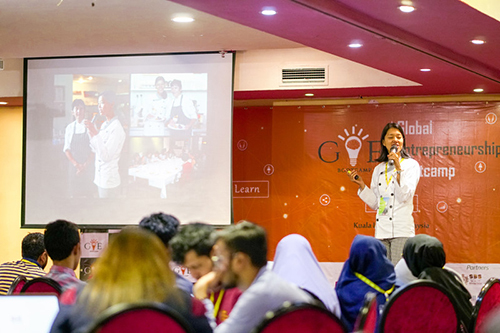 Watsal Rajbhandari Shrestha was a participant in the fourth edition of Global Entrepreneurship Bootcamp (GEB) held in Kuala Lumpur, Malaysia. Shrestha is an entrepreneur with experiences in both social and business enterprise. 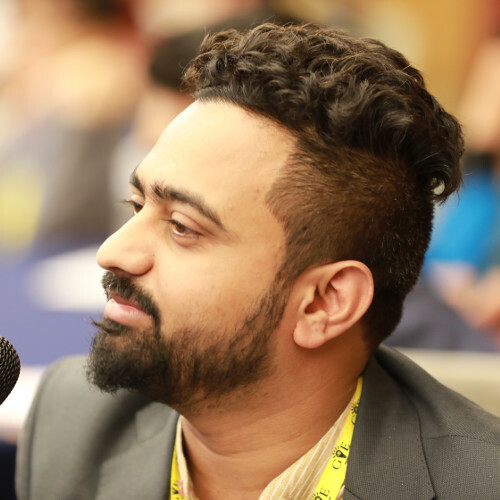 He is a Co-Founder/Devising Wizard of Dochaa Pvt Ltd.—an impact driven-for-profit handmade shoe and lifestyle company which infuses culture, color and vibe of Nepal in contemporary shoe and accessories. He is also Business development Director at Mirana Global Pvt Ltd which provides trading solutions for customers and businesses through reliable channels to fulfill their business needs. He was the Operations and Financial Coordinator at Ujyalo Foundation for two year where he was a part the initial phases of EmpowHER (leadership and idea incubation for women entreprenuers) and NIDARR (Violence reporting app which won the Best App in utility category in Ncell App Camp 2015). Before Ujyalo, Watsal also was the co-founder and Executive director at a paintball company—Dexter Paintball Pvt. Ltd. His skills set includes product manufacturing, business development, international trade and business, logistic and procurement management, supplementary revenue generation. Shrestha shared with the GEB team that apart from work he loves traveling, attending art exhibitions, riding bike, and playing basketball. Rami M.S. 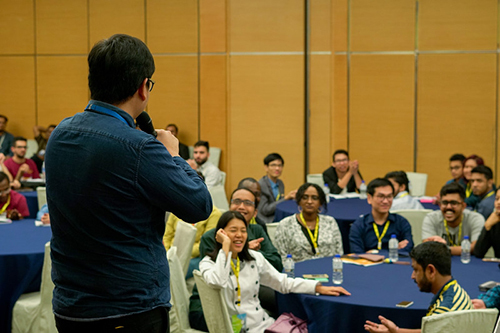 Salman was a participant in the fourth edition of the Global Entrepreneurship Bootcamp (GEB) held in Kuala Lumpur Malaysia. He is from Palestine. Salman is a fourth year Computer science student at Birzeit University of Palestine. Salman shared with the GEB team that he has interest in machine learning and data analysis areas. Rami and his team’s startup pitch of ‘Bone Fracture Detector’ won the title of ‘Best Team’ in the GEB Malaysia. Rami is planning to bring the startup ide to the market. Rami and his team had long between working on the idea of ‘Bone Fracture Detector’ and the one in the GEB was a revised version of their idea after series of changes. His idea also won the second level competition of PASS program (Palestinian Startup Support Program). 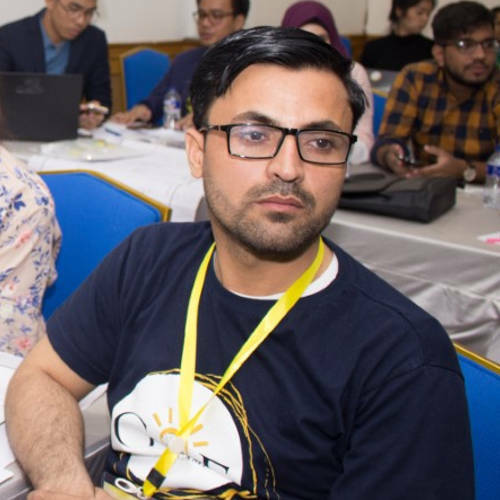 Ikramuddin Himmat Yar was a participant in the fourth edition of Global Entrepreneurship Bootcamp (GEB) held in Kuala Lumpur, Malaysia. Yar is the Database General Manager for Facilities General Directorate in Ministry of Interior Affairs, Government of Islamic Republic of Afghanistan. He has been working in the field of data management and administration ever since he finished masters in Management Studies from Indian School of Business Management and Administration. He is also involved in doctorate research in management studies currently. Yar shared with the GEB team that he entered the information technology industry to explore his passion in the field of data management. Apart from database management, he has also worked in both front-end and back-end administration. Yar has a goal of contributing in the sustainable development of his country. 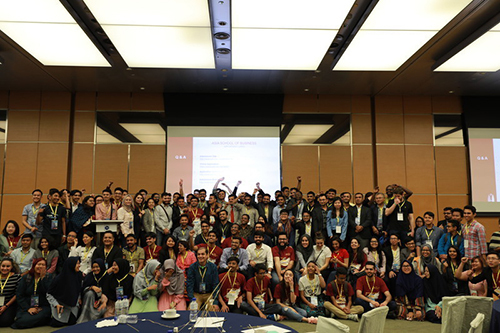 Choo Ming Yi was a participant in the fourth Global Entrepreneurship Bootcamp (GEB) held in Kuala Lumpur, Malaysia. 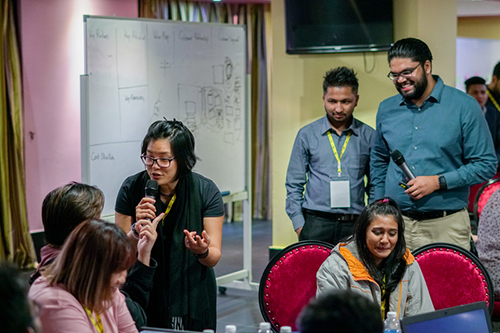 As a member of Workaway.info association, Malaysia Global Innovation & Creativity Centre (MaGIC), FutureLab and Mindvalley, Yi’s objective is to make wide-ranging impact in enriching lives of social community. 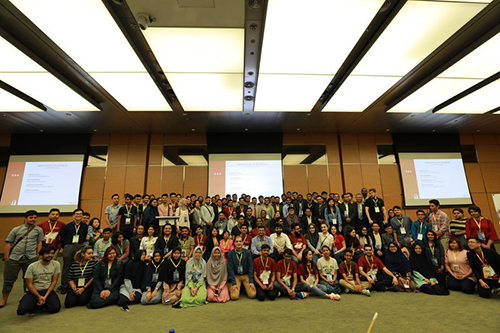 Yi has also participated as a delegate in CIMB Young ASEAN Leaders (CYAL) Summit and Harvard Project for Asian & International Relations (HPAIR) Conference. 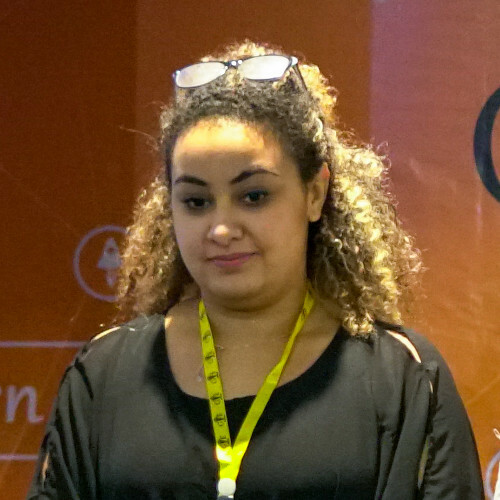 Meryem Aksbi was a participant from Morocco in the fourth edition of Global Entrepreneurship Bootcamp (GEB) held in Kuala Lumpur, Malaysia. Aksbi is currently in the Liberal arts transfer program at Milwaukee Area Technical College, Wisconsin, USA and is planning to do her master’s in business. She has a combination of skills acquired from various club activities. Aksbi shared with the GEB team that she was travelling to Malaysia for other reasons but changed her plan and decided to stay three days more in order to attend the bootcamp. 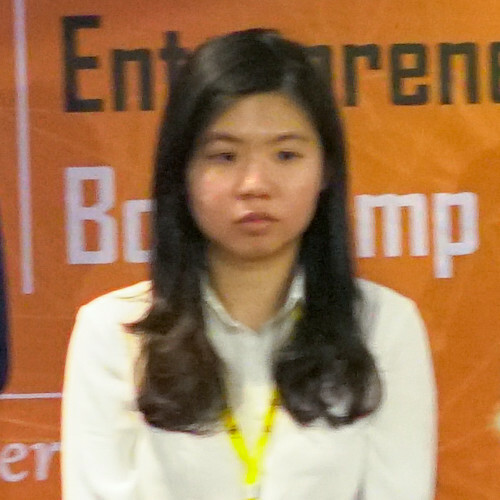 Le Tran Huyen Trang was a participant from Vietnam in the fourth edition of Global Entrepreneurship Bootcamp (GEB) held in Kuala Lumpur, Malaysia. 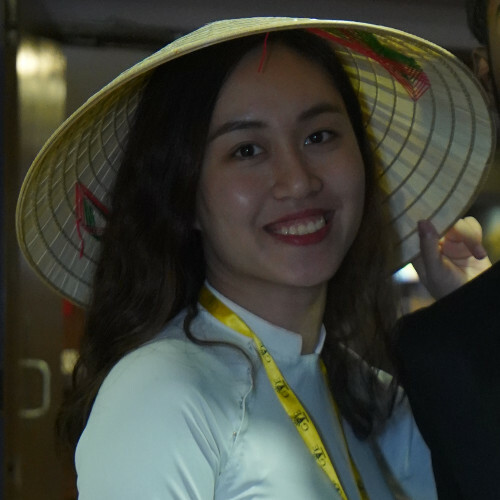 Trang recently graduated from Foreign Trade University of Vietnam. She is currently working as a Purchasing Officer for Schindler Vietnam Company at Hanoi. She has also attended a contest named “Reverse” which was funded by World Bank. The theme of the contest was to look for ideas to address corruption problems in the education system. 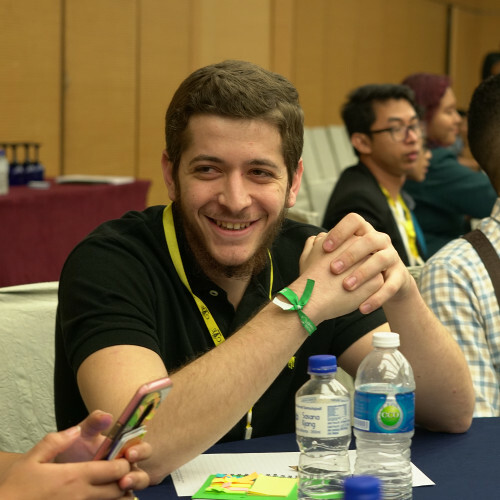 Mohamad Farouk Kuftarou was a participant from Syria in the fourth Global Entrepreneurship Bootcamp (GEB) held in Kuala Lumpur, Malaysia. Kuftarou is currently a student at the Lebanese American University majoring in economics. He is employed in the university as a light and sound operator in the theatre. He is also volunteering with a club called MMKN teaching kids in public schools. Kuftarou shared with the GEB team that he attended the bootcamp to meet like-minded people. He has also participated in a hackathon called HackTheCity. 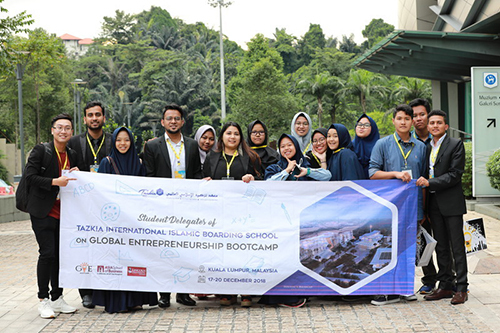 Jarar Nazar was a participant in the fourth edition of the Global Entrepreneurship Bootcamp (GEB) held in Kuala Lumpur, Malaysia. He is from Pakistan. Nazar completed his Bachelors in Business Administration (BBA) in 2017 from Bahria University Islamabad, Pakistan. Currently, he is pursing master’s degree in Enterprise Management from Peking University, China. 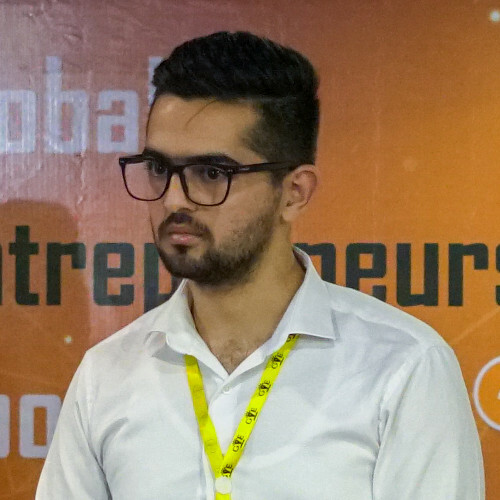 Nazar told the GEB team that he is interested in sales management, entrepreneurship, marketing and e-commerce etc. 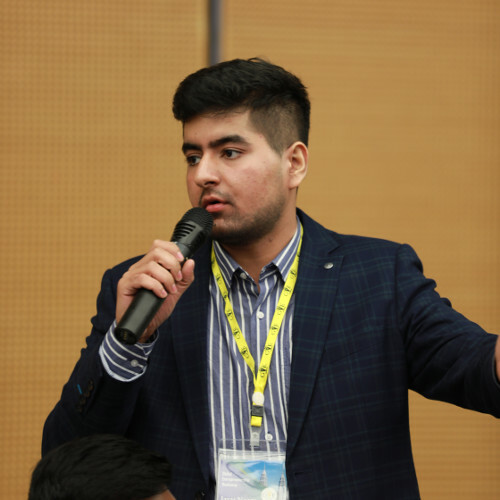 Being a student of business and entrepreneurship, Nazar believes that innovation is the most important factor in entrepreneurship.